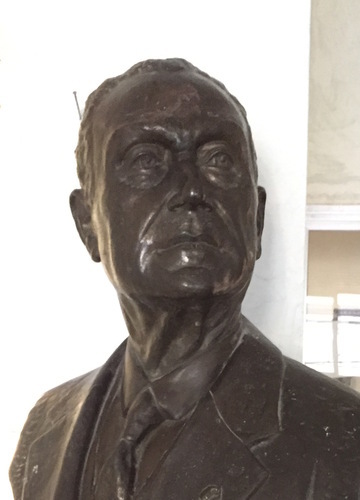 This bronze bust of Giovanni Pascale by Tommaso Piscitelli can be seen in the Junior High School "Senator Pascale" in Faicchio. 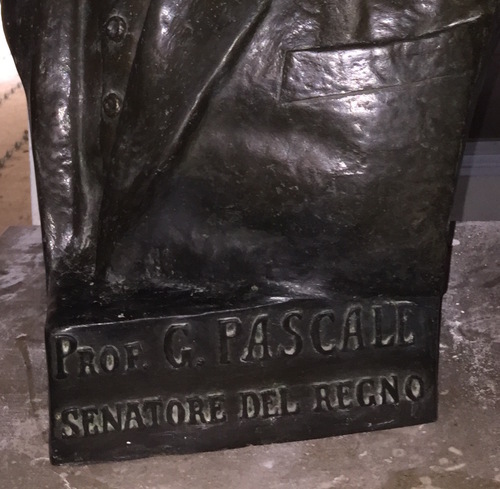 The school, located in Via Regina Elena, has been dedicated to Professor Senator Giovanni Pascale to permanently remind the school and entire Faicchio community the grandeur of the man and of his scientific talent, great teacher and professor who offered evidence of his great sense of duty and moral rectitude. 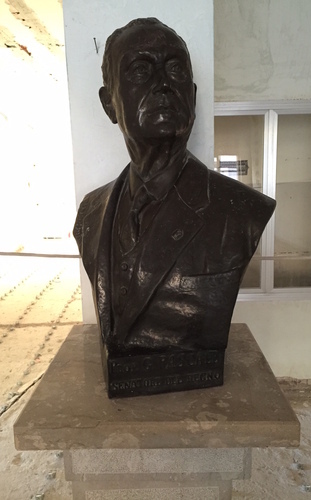 At present the building is under refurbishment. Giovanni Pascale's bronze bust, detail.